Lancaster, Manchester, Liverpool, Warrington, Blackpool, Chester, Stockport, Sale, Bolton, Preston, Rochdale, Blackburn, Wigan, St. Helens, Wythenshawe, Salford, Oldham, Southport, Birkenhead, Bury, Bootle, Carlisle, Northwich, Burnley, Barrow-in-Furness, Crewe, Runcorn, Widnes, Wallasey, Ellesmere Port, Altrincham, Macclesfield, Crosby, Leigh, Accrington, Lancaster, Ashton-under-Lyne, Middleton, Lytham St Annes, Urmston, Kirkby, Skelmersdale, Eccles, Stretford, Denton, Leyland, Chadderton, Morecambe, Chorley, Hyde, Huyton, Thornton-Cleveleys, Prestwich, Saddleworth, Winsford, Farnworth, Radcliffe, Nelson, Kendal, Heywood, Reddish, Darwen, Hindley, Cheadle Hulme, Fleetwood, Congleton, Swinton, Workington, South Turton, Westhoughton, Wilmslow, Ormskirk, Golborne, Whitehaven, Stalybridge, Marple, Whitefield, Droylsden, Penwortham, Formby, Litherland, Newton-le-Willows, Aherton, Rawtenstall, Royton, Walkden, Shaw and Crompton, Failsworth, Maghull, Halewood, Horwich, Irlam, Dukinfield, Colne, Poulton-le-Fylde, Sandbach, Ramsbottom, Moreton, Bramhall, Nantwich, Haslingden, Upton, Hazel Grove, Clitheroe. 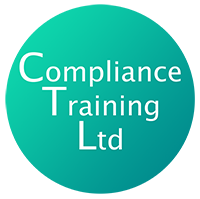 Please see our other course pages to view details of the following courses or contact us on 07376 634655/ silvanaholt@compliancetrainingltd.co.uk. Care certificate Training, Mandatory Health Day, Epilepsy Awareness, Autism Awareness, Dementia Awareness, Managing Behaviour, Mental Capacity & DoLS, Infection Control, Disability Awareness, Working at Heights, Health and Safety Awareness, Evac Chair Training, Health and Safety L2, Risk Assessments, Asbestos Awareness, Emergency First Aid, First Aid at Work, First Aid at Work Requalification, Basic Life Support including Defib, Food Safety Awareness, Food Safety L2, Food Safety L3, Safeguarding Children and Young People L2, Safeguarding Children and Young People L3, Safeguarding Adults L2, Conflict Resolution, Personal Safety & Lone Working, Fire Safety, Manual Handling, People Moving and Handling.